Add Sichuan peppercorns to a grease-free pan over medium-low heat and toast until they make a crackling sound. Transfer to a bowl and let cool. 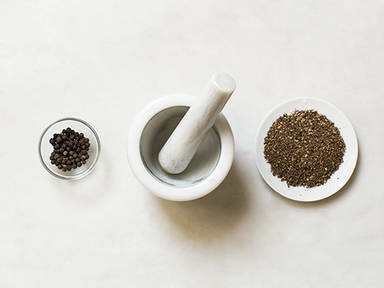 Once peppercorns have cooled, add to a food processor and pulse for approx. 30 sec. Transfer to a mortar and grind into a powder. Pass powder through a sieve and store in an airtight container.